I have said this before but Maxx is a huge dinosaur fan, he loves watching the dinosaur documentaries on TV and is adamant he wants to be a palaeontologist when he’s bigger. When we were offered the change to review some Dinosaur Train Interactive Figures I said yes as I knew Maxx would love them and they would be thoroughly tested. 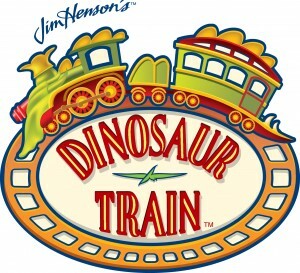 The Dinosaur Train Interactive figures are based on characters from the popular children’s TV series Dinosaur Train by Jim Henson, you can watch the show on Nick Jr. There are 6 different characters in the range, there’s; Boris, Ned, Tank, Morris, Tiny and Buddy. 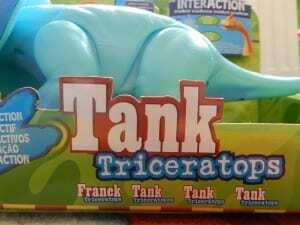 We were sent two characters from the range, Boris the Tyrannosaurus and Tank the Triceratops. Smart talk technology means the dinosaurs from the range can recognise each other and interact. 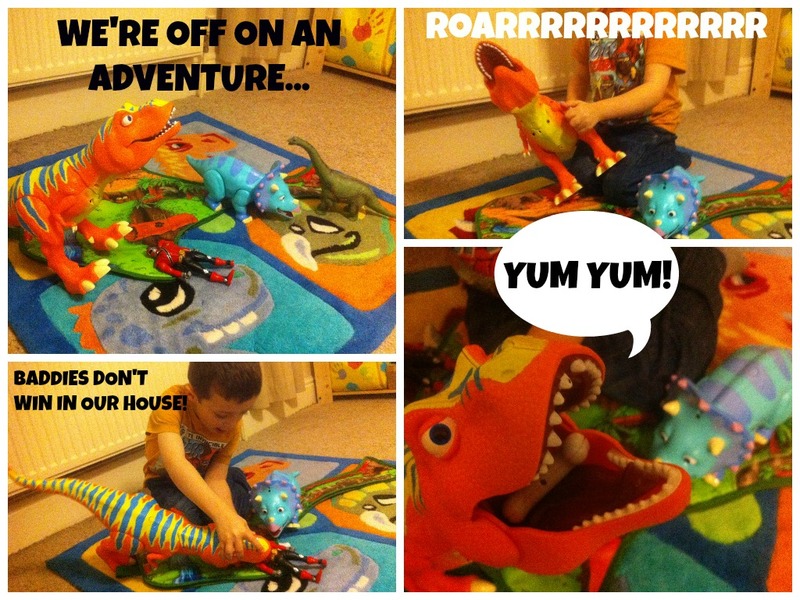 They can talk to each other, teach you fun dinosaur facts and even sing together – very cute. 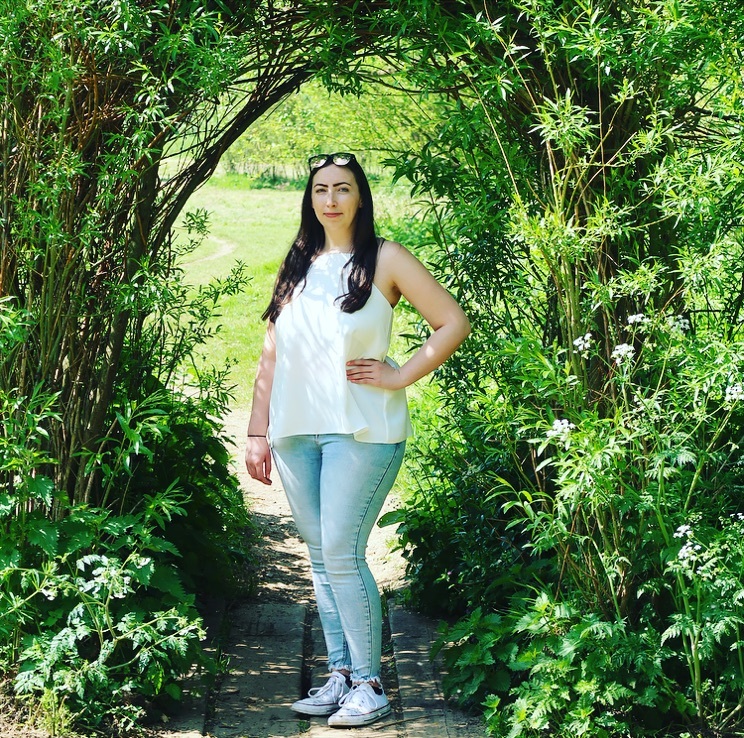 The dinosaurs each have a different bright and colourful design, perfect for capturing children’s imagination and bringing the word of dinosaurs to life through play. The figures are well made to withstand the accidental drops and knocks that can happen when children are playing. Maxx has accidentally dropped Boris a couple of times and he is still in one piece. They are also chunky which makes them easy for small hands to hold and play with. As well as being able to interact with each other and having fun dinosaur sounds, each dinosaur has their own special feature. 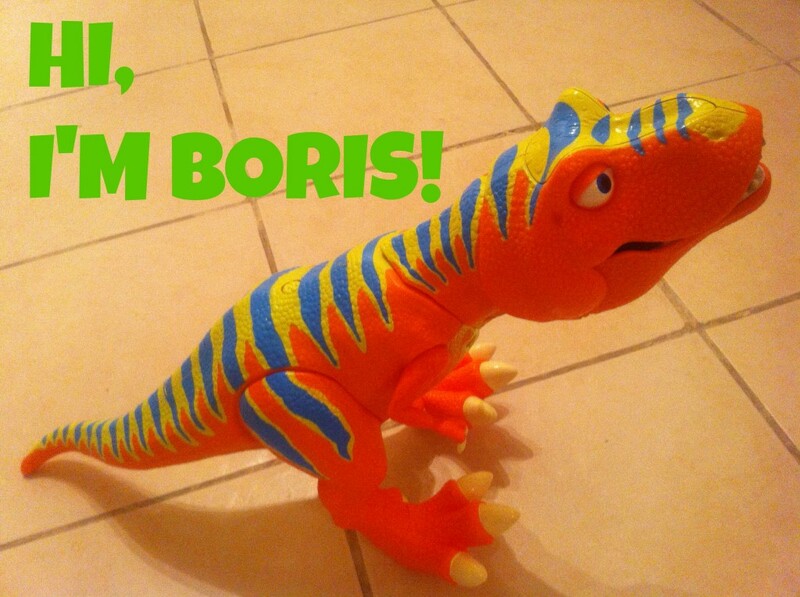 Morris’s tail makes a whipping sound and Boris roars when you press down his tail. The dinosaurs also have a very useful sleep function, when they have been inactive for a short period of time they will begin to snore and will turn off in order to save batteries. They are easily woken by pressing the button on their back, they will then begin yawning as they wake up. 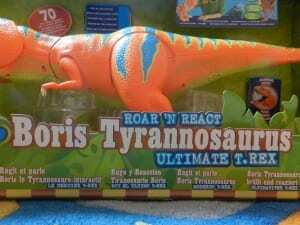 Boris is a Tyrannosaurus Rex, he has over 70 sounds and phrases. Press the button on his back to hear him make loud chomping sounds, press his interactive button and he will talk to you and tell you interesting dinosaurs facts. Press his tongue and he will make chomping sounds as if he is eating something, he also makes stomping sounds when he is walked on the floor and lets out a huge roar when you press down his tail. You can also move his head, legs, arms and tail. Boris is the largest dinosaur out of the characters and I think Maxx’s favourite as he loves the roaring sound he makes when his tail is pressed down. The colours are vibrant and really catch children’s attention and interest. 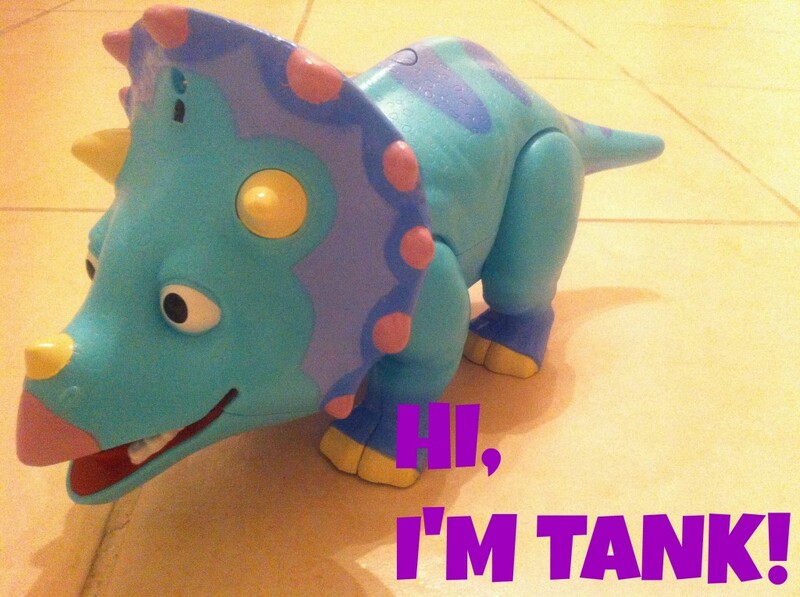 Tank is a very brightly coloured and fun Triceratops, he has over 50 fun sounds and phrases. As well as being able to interact with the other dinosaurs he will tell you fun dinosaur facts, make dinosaur noises, stomp when walked on the ground and make a chomping sound. Tank’s feature is a fun crashing sound which is played when his head is tilted. Tank is a fun colourful dinosaur. He has a lot of fun features and is a great addition to the Dinosaur Train group. A fun adventure Maxx had with Boris and Tank after a baddie stole their bone! I love the fact the toys are fun and educational. Maxx is learning new things without even knowing it and he loves playing with the dinosaurs and making them go on adventures. The toys are great for imaginative play and have provided hours and hours of fun since they arrive and the fun will only multiply when we add more dinosaurs to the group. The great thing about the dinosaurs is the fact they can be bought and played with individually, if for example your child has a favourite dinosaur. 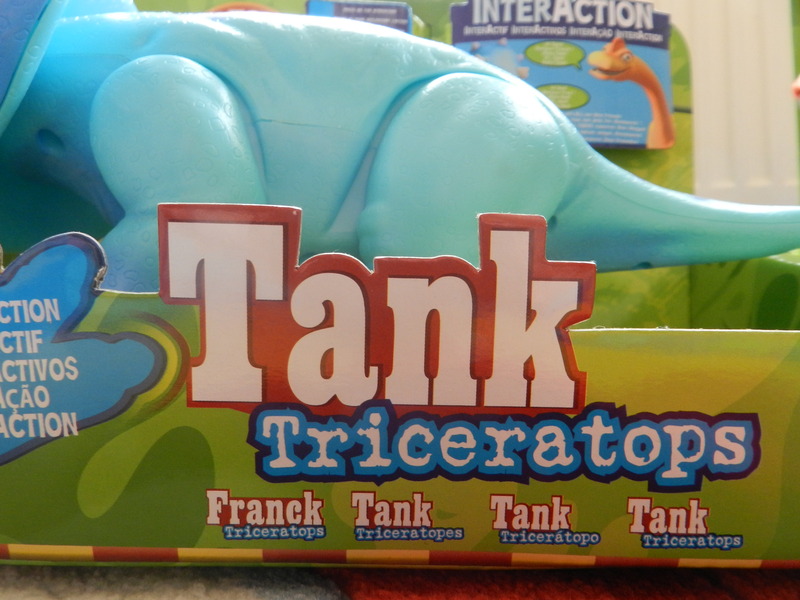 As a single toy they still have fun features, interesting dinosaur facts and are great for bringing your little ones imagination to life. 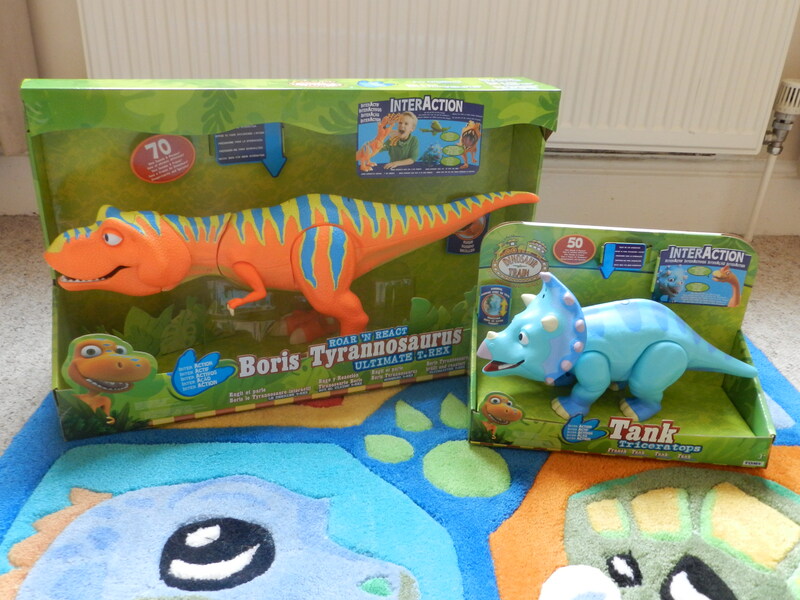 You can find out more about the Dinosaur Train toys by visiting the Tomy website. 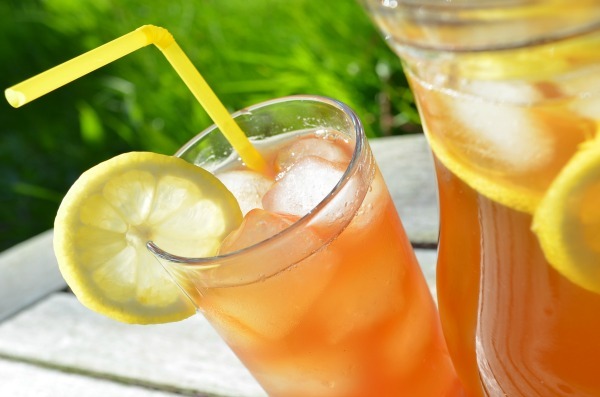 Prices range from £14.99 to £29.99 each. 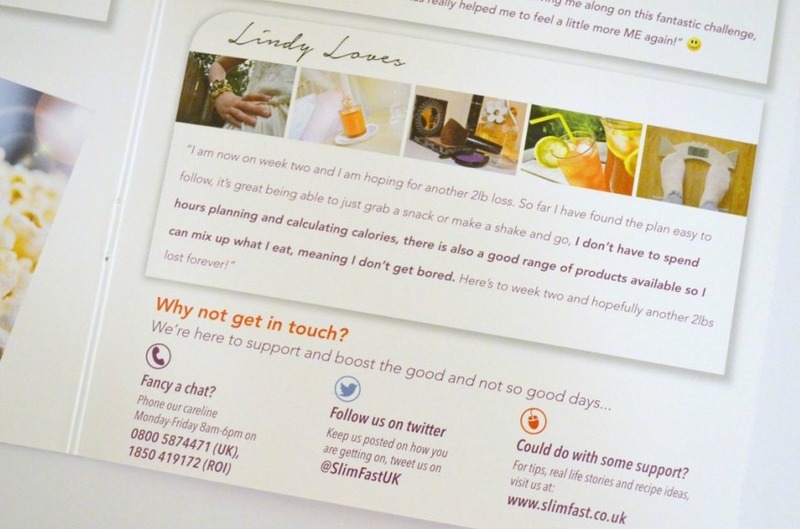 Aww, I’ve always wanted to win this on other blogs- it looks fantastic!